Here you will find the BaseURL and the API-Key of your App-Backend. 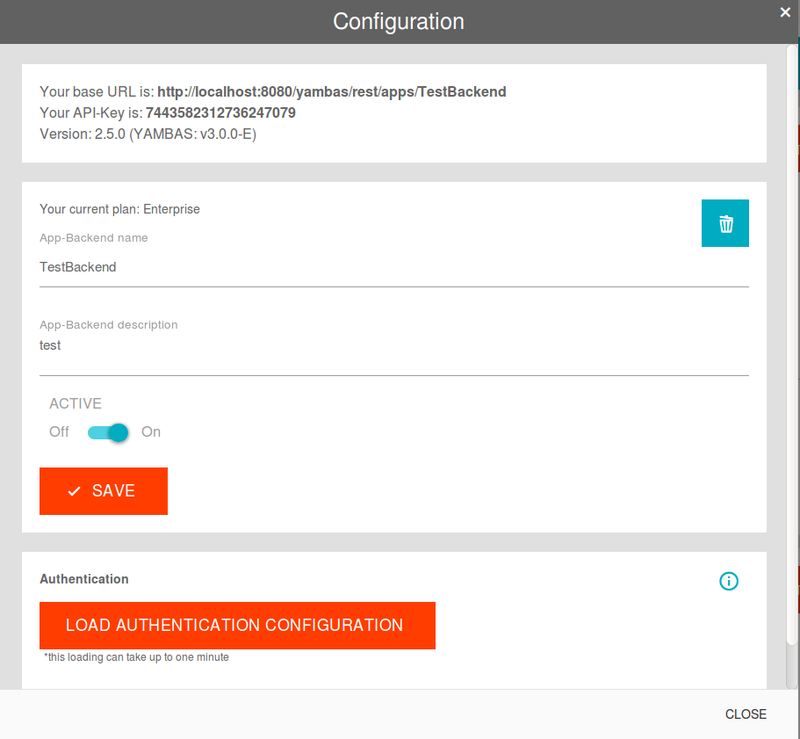 You can also configure the authentication for your App-Backend. Additionally you can rename you project or change its description or upgrade to a higher plan (for non-enterprise installations). If you would like to undeploy or even delete your App-Backend this is the place to do so.